Workers' compensation benefits are intended to provide a safety net to Louisiana workers who are hurt on the job. Benefits help pay for medical care and lost wages to reduce the financial impact of an injury, but you must be vigilant about protecting your rights to make sure you receive a fair settlement. If you don’t have the facts, it's easy to sabotage your workers' compensation claim in Louisiana by making one of these 6 mistakes. You can't receive workers' compensation benefits unless your injury has been reported within 30 days of the occurrence. It's in your best interests to immediately report all injuries, even if you think the problem is one that will heal on its own without any time off work. Minor symptoms do occasionally turn out to be signs of a more serious medical issue. Aside from believing that an injury will heal on its own, one common reason people don't report work-related injuries is that they believe they're not entitled to benefits if they did something to cause their injury. However, this is simply not true. You can receive full benefits for injuries that were caused by your own carelessness, as long as your injury wasn't caused by drug or alcohol abuse. Your employer is not allowed to fire you or discipline you because you filed a claim seeking the workers' compensation benefits you are entitled to under the law. No one enjoys going to the doctor, but ignoring appointments or going against your doctor's advice will surely sabotage your workers' compensation claim. Having a doctor you trust can help provide reassurance that you're receiving proper care, but you need to follow his recommendations and instructions exactly. Generally, Louisiana law allows you to choose your own treating doctor and to switch from one specialty to another without obtaining prior approval from your employer or insurer. However, if you need more than $750 of care, your doctor must obtain approval from the workers' compensation insurer to continue any non-emergency treatment. Social media can keep you in touch with friends and family, but careless posts can seriously damage your workers' compensation claim. Photos or video of you engaged in physical activities that go against doctor's orders such as lifting more than 20 pounds, squatting, or running will immediately call into question whether your injuries are as severe as you say. Even written posts alluding to prohibited physical activity can be problematic. When it comes to processing a workers' compensation claim, having a solid paper trail will greatly increase your odds of getting your benefits approved. You need to be able to document all of your medical treatment, as well as costs for gas, parking, and lodging related to doctor appointments. If your injuries resulted in a permanent disability, a journal describing your pain and physical limitations can also be helpful. Being injured can be stressful, especially when you're out of work and struggling financially. However, workers' compensation insurers will often try to take advantage of your financial situation by offering a low settlement or stringing you along until you're tired of fighting. In many cases, it's better to cut back on expenses or temporarily borrow money from friends or family to give yourself time to wait for a settlement that truly meets your financial needs. Your injury has resulted in substantial time missed from work. Your injury is likely to result in a permanent disability that will affect your future earning potential. 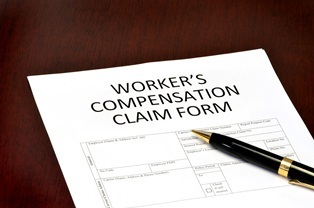 Your employer is contesting your claim by arguing your injury isn't work-related. Your employer is arguing that your injuries aren't as severe as you claim. The experienced attorneys at Neblett, Beard & Arsenault are dedicated to helping Louisiana residents who've suffered on-the-job injuries resolve their workers' compensation claims. Contact us online or call us directly at 318.541.8188 to schedule your free, no-obligation consultation.